We begin with the theory behind the different rolls and hereafter go through some of the basic rescue techniques. 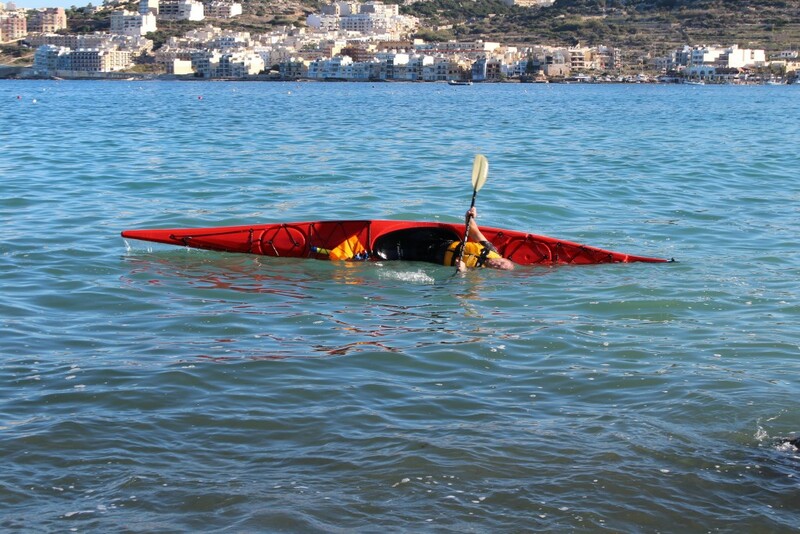 After this we practice on the water, learning how to get back into your kayak if you are alone. Next we practice a T-rescue (teaming up 2-by-2) and finally we practice the Eskimo Roll. 1)Day course: 3 hours in the morning and 3 hours in the afternoon, same day. 2)2-days- course: 3 hours one day and 3 hours the next day. In Hardanger you can experience all the breathtaking hikes you ever wished for. 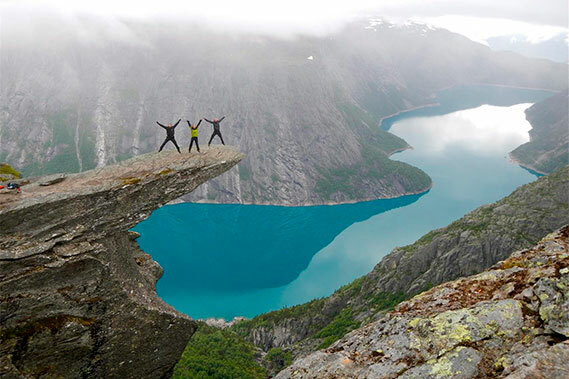 The region offers a rich variety of beautiful hikes on Hardangervidda High Mountain Plateau as well as the popular hike to Trolltunga, the steep hike to Kjeåsen, the most isolated mountain farm in Norway, and the spectacular hike to the Vøringfoss Waterfall, one of Norway’s greatest nature based attractions – all possible to do as self guided trips. You can also choose to go on a guided blue ice glacier trip to Buerbreen, part of Folgefonna National Park for a once-in-a-lifetime hiking adventure. All in a radius of less than 100 km. Price: Blue ice glacier trip: NOK: 1050 p.p. Should you want a guide for the other hikes please contact us via the Booking form.